In the highly populated IT risk and security market—where a new software or solution hits the market every now and then—for a company to be truly redefining what it means to be a consulting firm is to be in the good books of forward-thinking businesses. The founding story of Edgile begins in the mid-90’s in Silicon Valley—before the dawn of the web—where co-founder Don Elledge was working as a partner for Deloitte, one of the Big Four firms that then dominated the nascent IT security industry. 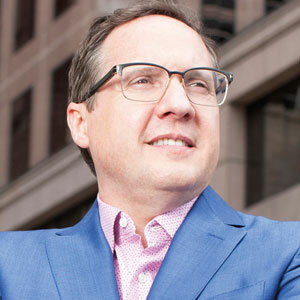 He saw a business opportunity, and in the early 2000s—when the digital revolution was in full swing—he decided to launch his own firm, a pure-play security consultancy with co-founder Dean Fantham which has grown to add senior partners Lyle Carlson, Lawrence Wolf, Geoff Hauge, David Deckter, Kevin Berman, and Marvin Tansley. The award-winning cyber risk/ cybersecurity consulting firm—with a focus on helping very large clients (The Fortune 500) as well as regulated companies (hospitals, casino gaming, financial services)—has three areas of focus, spanning the spectrum of security and regulatory compliance: (1) cloud security and data protection; (2) governance, risk and compliance (GRC); and (3) identity and access management (IAM). What differentiates Edgile in compliance is its approach to supplementing consulting projects with innovative offerings such as its iGRC content managed service—built upon providing clients a specific industry-tailored regulatory content library that enable them to stay on top of the ever-changing landscape of laws and regulations—has enabled the firm to provide clients with a true competitive advantage in their compliance operations. Edgile’s client regulatory library integrates with RSA Archer or client GRC systems to reduce the costs and complexities of client GRC programs. In recent years, Elledge has seen the firm bear the fruit of its innovations. The firm recommends its clients start with a strategy project first for their initiatives, saying it actually reduces client risk—a smart move for risk-focused clients. Throughout the years of working with clients, the firm has begun designing new ways to systematize risk awareness and decision systems using Edgile technology—that supplement consultant engagements—to help the enterprise understand how well it is managing risk. And as more businesses move their operations to the Cloud to capture the promise of digital transformation, and operate in a hybrid environment, Edgile has been called upon to help with the transitions, which in part demand expertise and guidance on compliance challenges. One of the key pain points for a number of Edgile’s clients is simply keeping pace with the “shifting and often rising compliance bar.” Whether it’s GDPR or NY DFS Cyber Security, clients are finding that their historical approach to build a stand-alone program for each new law, regulation or standard is untenable. Edgile is delivering consulting and managed services to help organizations keep abreast of the new mandated through regulatory change management offerings (iGRC Content), diagnostics, and cloud configuration compliance services. For all its innovations, Edgile has been awarded numerous industry awards over the past several years, and Edile Partners have been featured as speakers in many leading industry shows and Gartner research. Elledge, a member of The Forbes Technology Council, is now featured regularly writing about the new IT security challenges facing the enterprise, including security investment, the Cloud, and the continuing evolution of the CISO in the modern enterprise.